Harvey and Judy have worked alongside one another since they first met in London in 1965. The city was then full of artists and ideas. Their work is very different but they both share a passion for abstract painting and printmaking. They have exhibited nationally and internationally . They currently divide their time between Brighton and their studio home in Lezan, Le Gard France. Both are active members of APEC and Harvey is an exhibiting member of The London Group. This entry was posted in Uncategorized on May 22, 2013 by Patrick Donohoe. Elpida Hadzi-Vasileva, Silentio Pathologia, 2013. 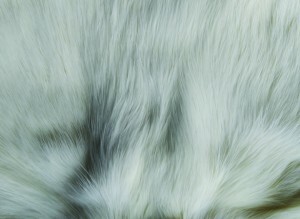 Rat fur (work in progress). © Elpida Hadzi-Vasileva. Former APEC member Elpida Hadzi-Vasileva has been selected by the Ministry of Culture of the Republic of Macedonia to represent the Republic of Macedonia at the 55th International Art Exhibition – la Biennale di Venezia. Elpida presents a major new installation work, Silentio Pathologia, drawn from her original proposal to the Ministry of Culture of Macedonia, which reflects upon the movement, migration and impact of medieval plagues through Europe (and city states such as Venice) and considers contemporary concerns about international migratory illnesses such as coronavirus. This ambitious work will include pure woven silk, silkworm cocoons, albino rat skins, curtains of steel sheet and, subject to permissions, live rats. Drawing upon her established and highly regarded practice of extended periods of working and embellishing multiple objects into large-scale art installations, Elpida Hadzi-Vasileva presents a signature artwork for the 55th International Art Exhibition – la Biennale di Venezia. This entry was posted in Uncategorized on May 8, 2013 by Patrick Donohoe. Christopher Stevens is showing in an exhibition at Phoenix Brighton, opening this Friday. 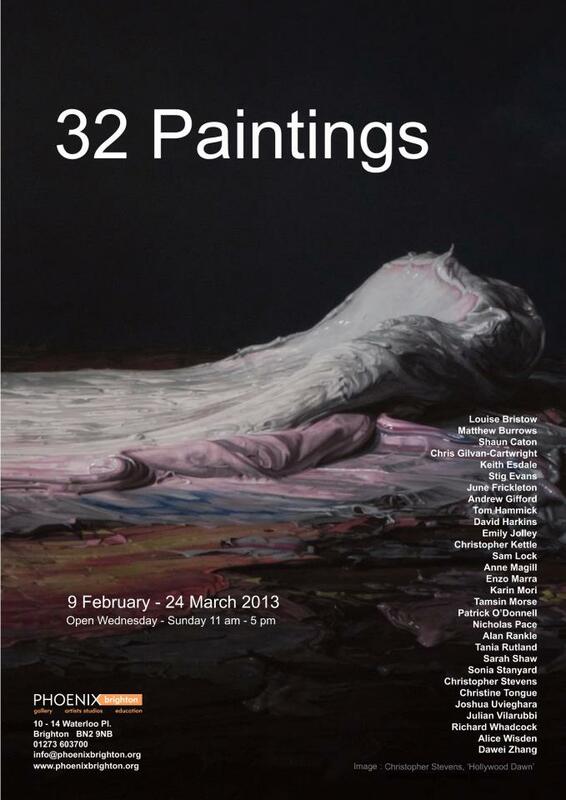 Looks like there will be some really good work in it, all paintings, appropriately enough, as the show is called ’32 Paintings’. Hope you can come! Bring friends! Hope to see you there. This entry was posted in Uncategorized on February 8, 2013 by Patrick Donohoe.